Kiwanis Kingston Classic, Survival of the Shawangunks and Rebel Race highlight season Kingston, N.Y. - As the snow gives way to spring, runners will find a plethora of events - from fun runs to extreme ironman races - to challenge them in Ulster County. 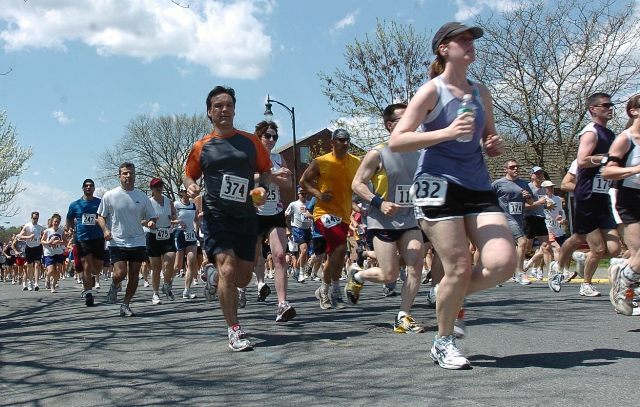 Series races, relays, biathlons, triathlons, fund-raisers, quaint downtown village races, and runs on carriage roads and rocky footpaths are just a few of the events that dot Ulster County&apos;s terrain. "Nobody provides the variety of race courses, lengths and inclines that challenge runners like Ulster County," Ulster County Tourism Director Richard J. Remsnyder said. "But runners will be most rewarded with the scenic wonders that Ulster County presents." The Kiwanis Kingston Classic makes its return this year after a year hiatus and kicks off the county&apos;s USA Track & Field certified events on Sunday, April 17. The 10K-event is the highlight of a weekend of events for family, which includes the first Kids&apos; Classic, which starts things off on Saturday, April 16. Among the most challenging of Ulster&apos;s events this year will be the annual Survival of the Shawangunks in the New Paltz area and the first-ever Rebel Race in Modena. Both are expected to draw participants from throughout the U.S. as well as other countries. The Survival of the Shawangunks is an eight-stage triathlon on Sept. 11 where participants will cycle country roads and scenic highways circling the northern ridge of the Shawangunk Mountain Range for 56 miles, run back trails for 13 miles and swim in Lake Minnewaska and Lake Mohonk for 1.2 miles. The Rebel Race is a run with attitude, planned for the weekend of June 11-12 at Hurd&apos;s Farm, 2187 Route 32, in Modena. It&apos;s a 15K race, with a 5K version for the fainter of heart. Plan on crawling across muddy creeks, climbing slimy slopes made of mud, jumping logs and leaping over fire in this event. 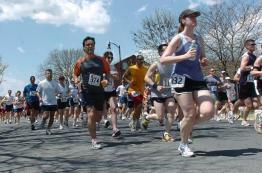 April 30 Spring Dual Against CF Huguenot Street, New Paltz, NY 9 a.m. Run 2 miles; road bike, 2 miles; run, 2 miles. Perfect race for anyone starting to get into triathlon. The course is fast, flat and fun. Relay and kids fun race too. The kids race is free and distances will be determined based on the age groups present. The relay teams will start the same time as the individual racers. All profits from this race will go to benefit cystic fibrosis awareness and research. To register: www.cm2promotions.com. May 8 8th Annual TROOPER BIATHLON In Memory of NY State Troopers Mike Kelly, Ken Poormon and John McKenna, Dug Hill Road, Hurley, NY 9 a.m. The major annual fundraiser for the Kelly Children&apos;s Education Fund and the Ken Poormon and John J. McKenna Memorial Funds. Mike Kelly and Ken Poormon were killed in the line of duty in Ulster County on May 31, 2000. Trooper and Marine Corps Capt. John McKenna was killed in combat in Iraq on August 16, 2006. To register: www.trifind.com/re_33270/8thAnnualTrooperBiathlon.html May 13 & 14th Ragnar New York: From Woodstock to Westchester 200-mile Relay Run A winding, 200-mile running relay event in New York like you&apos;ve never experienced. Starting in Bethel, teams of 12 run day and night, relay style, through the mighty Catskills into New Paltz for an overnight, continuing on the next day over the Walkway Over The Hudson to Westchester County, taking in the view of New York City&apos;s legendary skyline. Each team member runs three legs ranging between 3 to 8 miles and varying in difficulty. To register at team: http://www.ragnarrelay.com/race/newyork May 15 American Zofingen Duathlon and Iron ITT Spring Farm, Mohonk Preserve, 27 Upper Knolls Road, High Falls, NY Four races on one day. Long Course Duathlon: trail run: 5 miles; road bike: 84 miles; trail run: 15 miles Middle Distance Duathlon: trail run: 5 miles; road bike: 29 miles; trail run: 5 miles; road bike: 29 miles Trail run: 5 miles. Short Course Duathlon: trail run: 5 miles; road bike: 29 miles; trail run: 5 miles. Iron I.T.T. Road Bike: 112 miles. Register: www.cm2promotions.com June 11 & 12 Rebel Race Hurd&apos;s Farm, 2187 Route 32, Modena, NY The Rebel Race Series is designed for people feeling the urge to tackle intense obstacles. From start to finish, Rebel Race&apos;s military style obstacles will have you dashing, barricade-climbing, mud-crawling, rope-swinging and fire-jumping. Our grueling course forces each rebel to test their physical toughness and mental endurance. Cross the finish line and bask in the glory with tons of beer, food, live entertainment and thousands of new friends covered in mud. Earn the bragging rights. To register: www.rebelrace.com/event.php?id=35 June 12 Third Annual Williams Lake Olympic & Sprint Triathalon Wiliams Lake Resort, Rosendale, NY This race is one of a kind. From its pristine lake to a run through the cave. It is a race that triathletes at all levels will leave with a lasting memory. Sprint Race Distances: Swim - 0.5 mile; Road Bike - 12 miles; Trail Run - 3 miles. Olympic Race Distances: Swim - 1 mile; Road Bike - 24 miles; Trail Run - 6 miles. To register: www.cm2promotions.com July 24 American Zofingen Triathlon Wiliams Lake Resort, Rosendale, NY This will be an epic race. It is the combination of the American Zofingen Duathlon bike course with an equally hard swim and run at Williams Lake. Be the one of the first to complete this race and be remembered as starting a legacy. Race Distances: Swim - 1.5 mile; Road Bike - 69 miles; Trail Run - 15 miles. To register: www.cm2promotions.com September 11 The Survival of the Shawangunks (SOS) 7 a.m.; Ulster County Fairgrounds, Libertyville Road, New Paltz, NY. An eight-stage triathlon sponsored annually by the New York Triathlete Association. Cycle 30 miles along country roads and scenic highways circling the northern ridge of the Shawangunk Mountain Range. Ascend the western face. At the entrance to Minnewaska State Park leave your bike for a combination run/swim journey through some of America&apos;s most beautiful cross-country trails and spring fed lakes. For information or to register: http://www.sostriathlon.com/ September 25 2011 Pfalz Point Trail Challenge Mohonk Preserve Spring Farm Trailhead, 27 Upper Knolls Road, High Falls, NY 8 a.m. Ten miles of open meadows with spectacular views, steep and rocky footpaths and gently rolling carriage roads. Register early, the race is limited to 300 runners. No refunds. Proceeds from the race benefit the Mohonk Preserve, a leader in protecting the Shawangunk Ridge, designated as "one of the last great places on Earth."